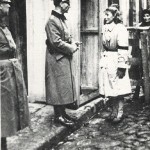 As the German Reichswehr slogged it’s way through the turbulence of the 1920s, supply issues were a constant concern. 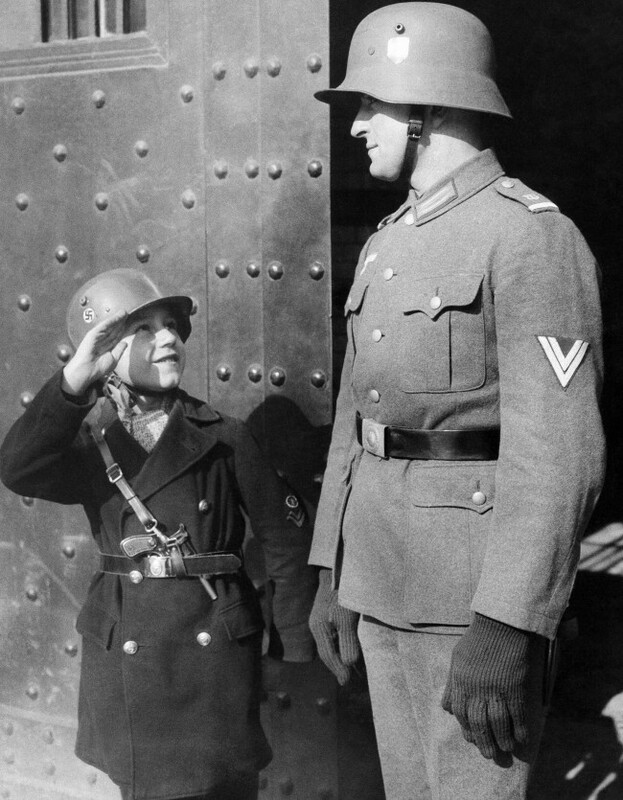 With the armistice of the Great War and subsequence treaty of Versailles, Germany had been forced to sell off or destroy much of it’s military equipment such as steel helmets. Immediately after the end of the Great War and into the 1920s, Reichswehr quartermasters did the best they could to make Great War era helmets usable for a new generation of soldiers. Helmets were repainted, and liners and chinstraps were re-worked and/or repaired to make them functional during this period of paucity. An example of a modified M16 liner. The Great War era liner was modified by a depot by the addition of M18 chinstrap bails to accommodate a more modern 1920s era chinstrap. Liners like these are sometimes called M20s. However these repairs were only stop gap measures. As time wore on, liner pins broke and leather wore out all of which resulted in a need to develop a new liner. In the mid 1920s a new liner was designed to replace the worn out Great War era liners. The new liner was very similar to the old German M16, but there were a few small improvements. 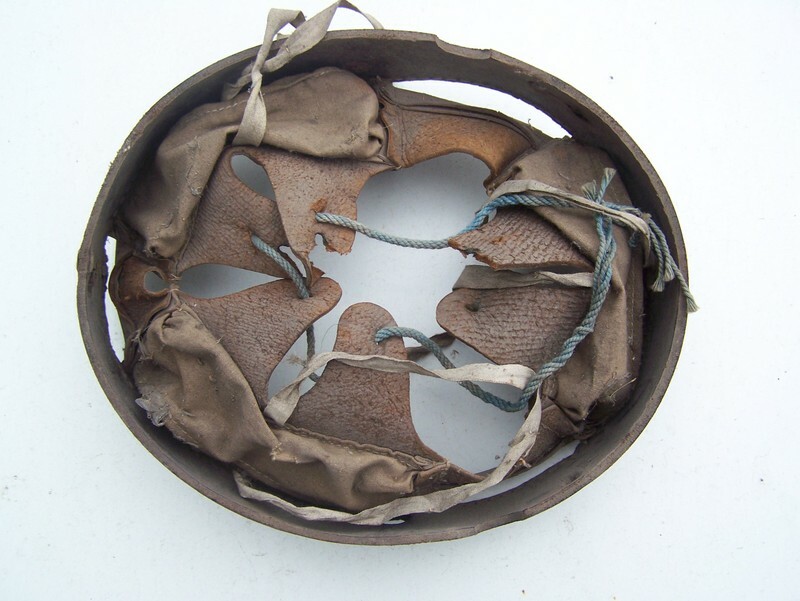 The new liner consisted of three, two fingered pads with removable horse hair pillows, and each pad was sewn to a leather band. 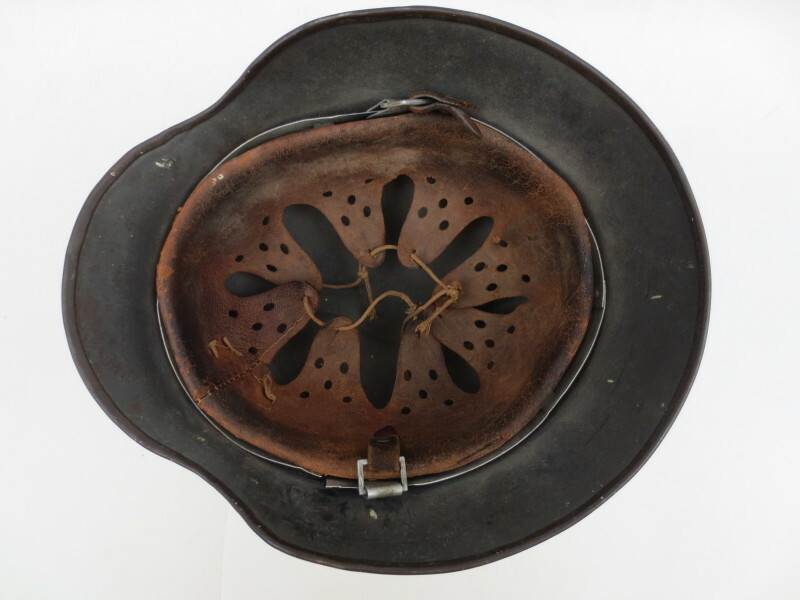 The pads were adjoined to each other by a strip of leather which created a more secure fit to the wearer’s head. On each side of the liner, M18 chinstrap bails were riveted into place. 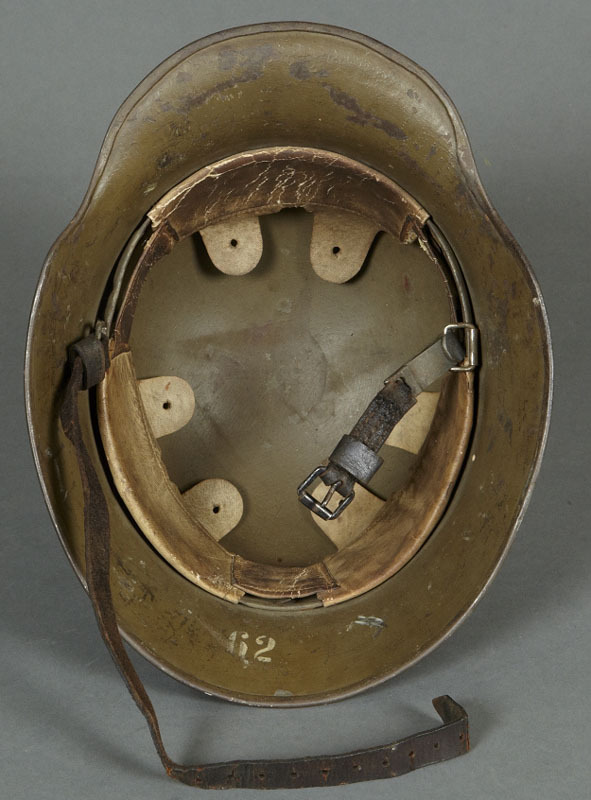 The M18 chinstrap bails were favored for this liner because there was a surplus from World War I, and they had proven effective on the M18 helmet. 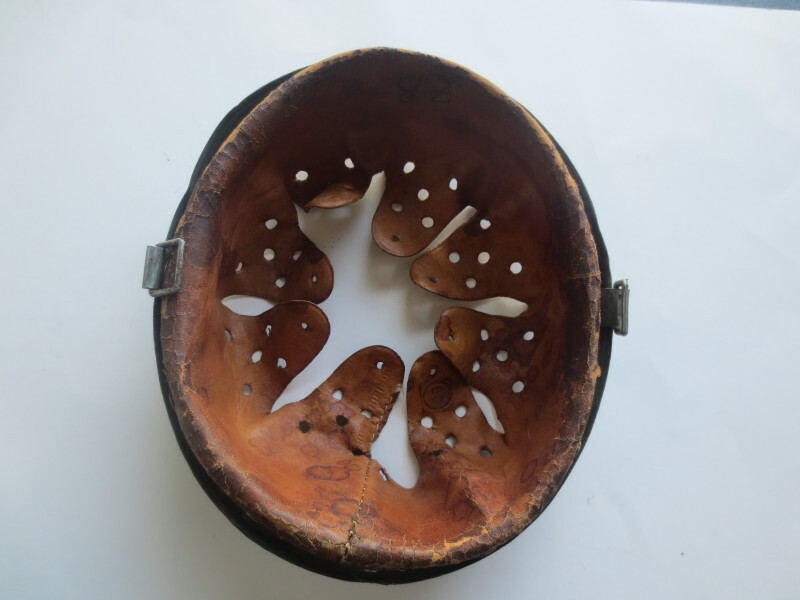 Some helmets that previously had the M91 chinstrap posts were removed and the holes brazed or welded shut. There is no official designation to this liner; however, some collectors call the design the M24 or M27 liner. The liner starts to appear around 1924. 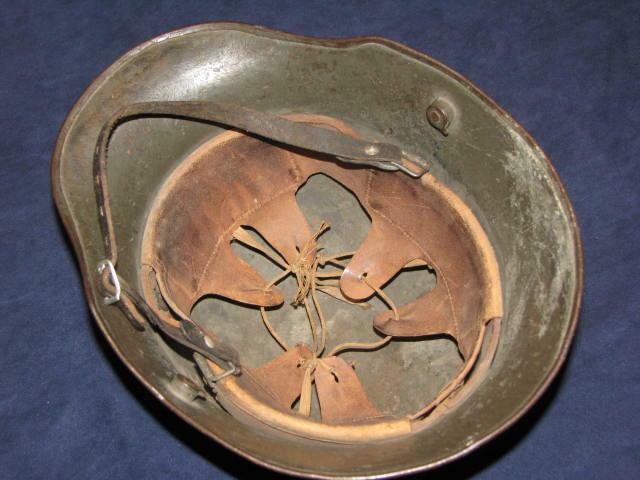 The inside of a M18 Prussian Reichswehr helmet, with a M24 liner. The back of an original M24 liner. The choice of an all leather liner opposed to a combination leather head liner with a more durable steel outer band may seem like a step backwards. 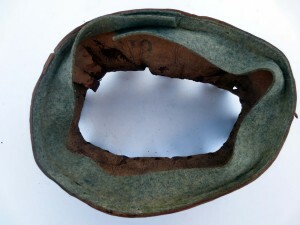 The M17 and later the M18 liner combined a outer steel band with leather pads which were crimped into place. When the leather and pads became damaged or unusable, it was a simple process to remove the damaged pad(s) and replace them with new. WWI era M18 liner and pad. 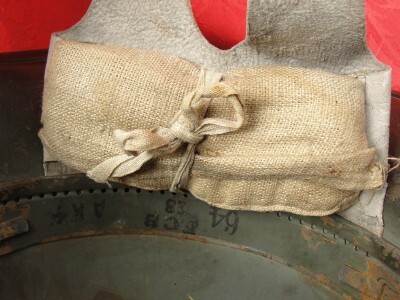 The M24 liner pads were sewn to the outer leather band and could not be removed or replaced when damaged. There is no official explanation as to why this design was chosen; however, there are some logical conclusions which can be drawn. Germany suffered from a lack of raw materials throughout the 1920s which were brought on by the Treaty of Versailles. Because of this, the production of steel and aluminum was limited because the cost was too high. Leather, however, was more readily available throughout the Reich, and the designers of the new liner likely knew that the liner could be produced from this more affordable and accessible material. Supply conscious equipment depots continued to rework and reuse older helmet components. In some cases, M18 liner bands dating to the Great War were simply refit with M24 pads. An example of an early Third Reich era re-worked M16. The Reichswehr era chinstrap has been replaced with a new model strap but the old M24 liner was never replaced. 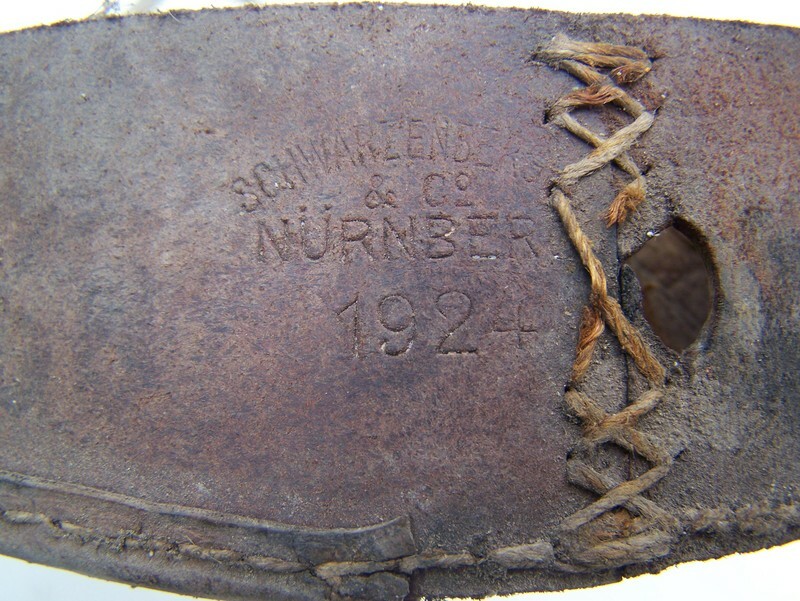 While new liner pins were produced, older WWI liner pins were still used and reused whenever possible. It should be noted that while the M24 liner was eventually replaced by the M31 liner, the M24 would see continued use well into the 1940s. 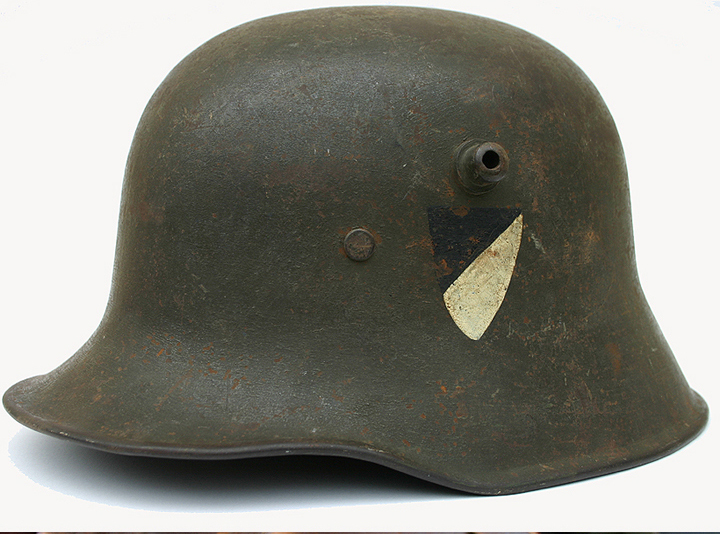 In the early years of WWII, new model M35 helmets were often in short supply, forcing the continued use of older WWI M16 and M18 helmets. 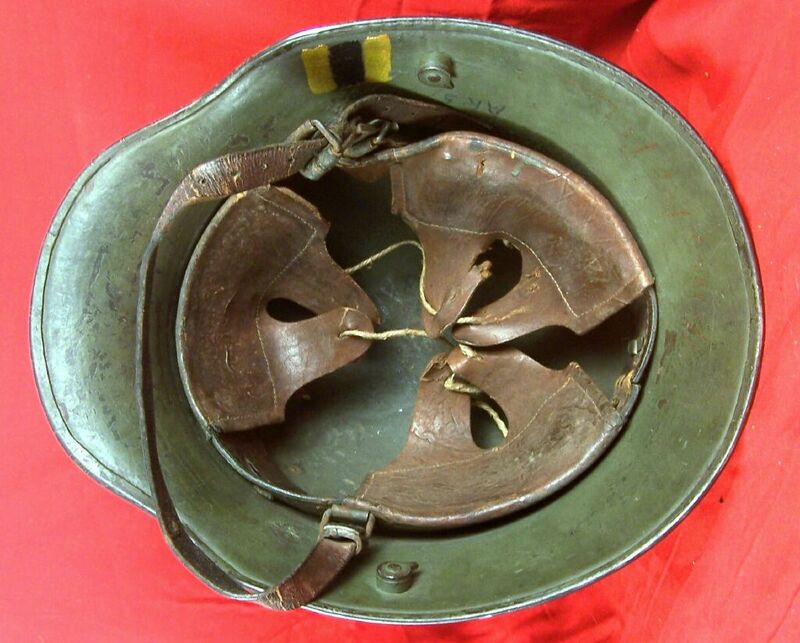 Provided the M24 liner was still in serviceable shape, the helmet was issued and worn. Starting in the late 1920s, a new, more complex modern liner went into development. 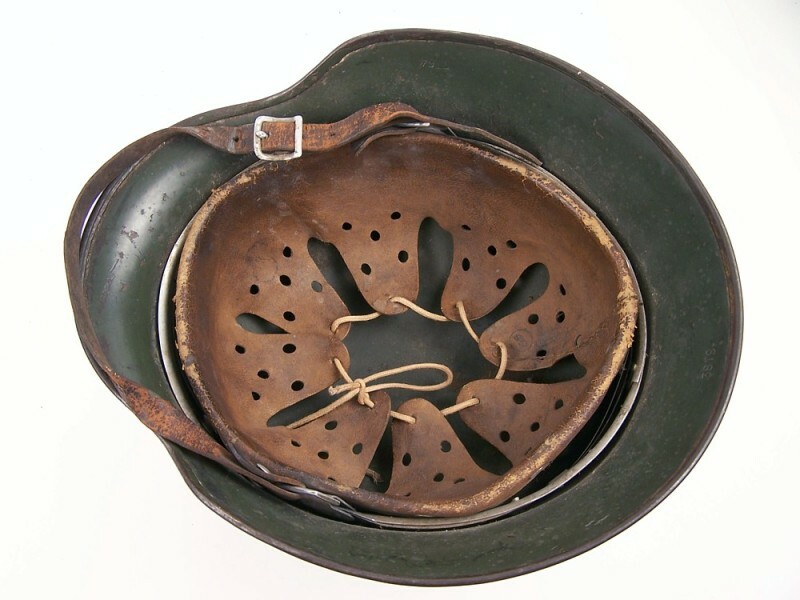 The new liner was developed in conjunction with a new helmet which eventually replaced all the Great War era helmets starting in 1935. The new liner was officially patented in 1929 by Schuberth-Werk of Braunschweig. The liner was designated as the M31. 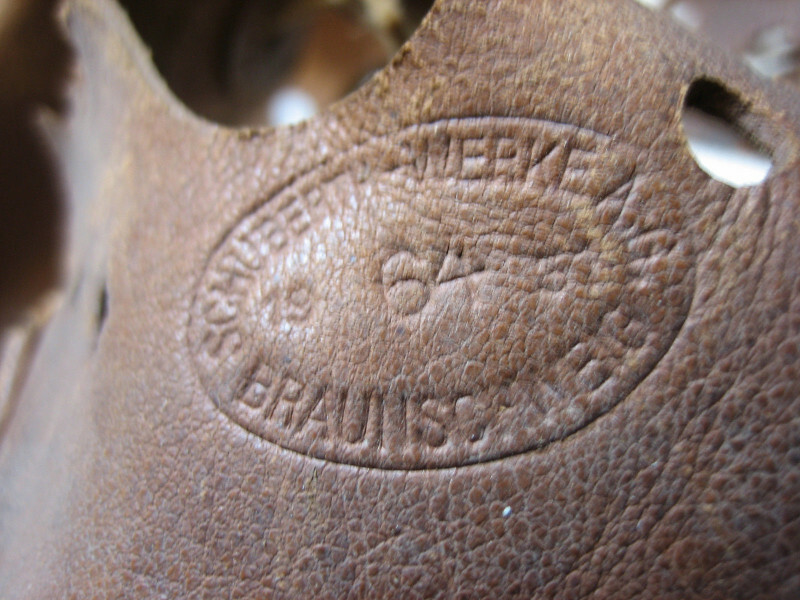 It was produced in small numbers by Schuberth-werk in the early 1930s for field trials. Despite the liner’s designation as the M31, it was not officially adopted by the army until November of 1934. The M31 was by far a more complex liner than any of it’s predecessors. The new liner consisted of an aluminum outer band and an interlocking internal band. 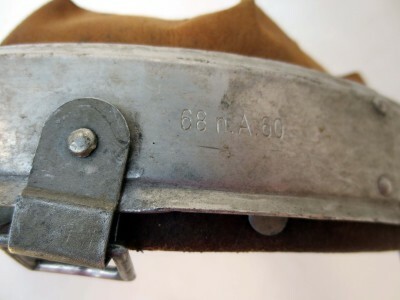 A leather head liner with between 7 and 9 fingers (depending on the liner size) was affixed to the internal band with aluminum split pins. The liners were manufactured in seven sizes, 60-70 cm. The outer-band size would correspond to the size designation of the helmet, and the internal band would correspond with the wearer’s head size. The internal band came in two different sizes which allowed for a more customized fit for the individual. The size of the liner was stamped on the outside of the liner’s outer band on the wearer’s left. 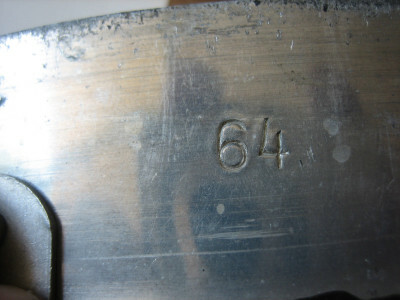 The earliest liners were stamped with just the size of the helmet. Later liners have the helmet’s size, but also the size of the internal band and either the letter combination n.A. or a.A. These letter combinations signify Neues Art, new model, or Alt Art, old model. The new model meaning the new M35 helmet where as the old model indicated the older Great War helmets that were still being used at that point. Liners with the a.A. mark are rarely encountered because few were produced with that marking. A rare 1931 dated M31 liner, with a steel internal band and rounded M18 bails. The earliest M31 liners bear some distinct differences from those made later. 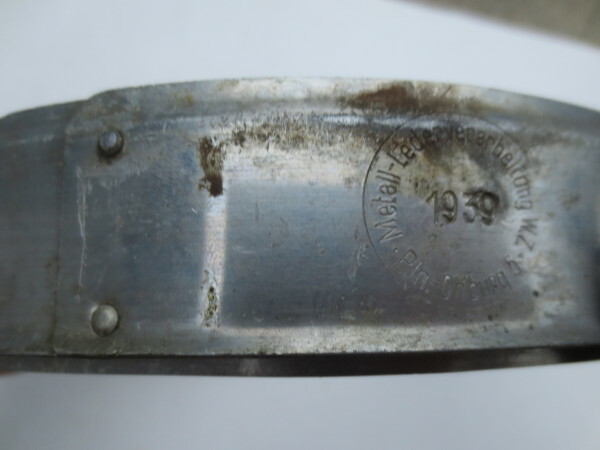 The army directive dated November 14, 1934 ordered that the outer band be made from rust proof aluminum while the internal band should be made from steel treated to resist rust, (often by bluing). At some point the steel internal band was discontinued in favor of aluminum. By 1935 steel internal bands were no longer seen. The band spring which held the internal band to the outer band would still be made from steel, painted field gray. These early M31 liners are often found fitted with rounded steel M18 chinstrap bails instead of the more commonly used aluminum squared bails. Although there is no official explanation for this design change, the reasoning could be attributed to the manufacturer wanting to use a surplus of M18 bails before switching to the newly manufactured squared aluminum bails. The M31 liners pins were a radically different design. The old Great War era pins and 1920s era pins consisted of two prongs which were spot welded to a round head. The liners used three of these pins, two on the front of the helmet near the temple and one in the rear. The prongs were folded back across the liner band and peened into place. At times the welds would come loose breaking the pin’s head from the prongs. The new pin design consisted of four separate parts: a domed head, a solid metal base to which the head was crimped, prongs, and a slotted retaining washer. These new pins were more durable and with the addition of the slotted washer, the liner was held more securely in the helmet. 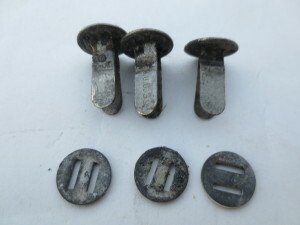 The pins made between 1931 – 1940 were initially made from brass, but were made out of steel after 1940. 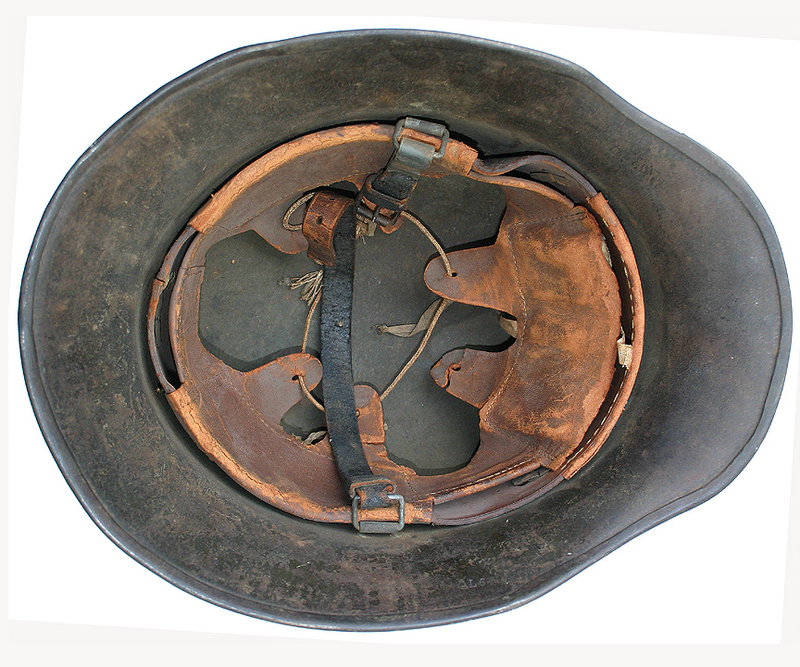 A few of these early 1930s era helmet have been found with steel split pins instead of brass which may be a manufacturing variation at the time. 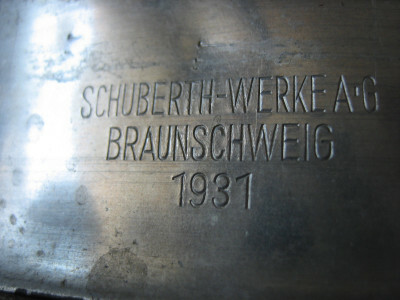 While Schuberth-Werk was the designer and patent holder of the M31 liner other manufactures would soon be given contracts to produce the new liner. At least seven manufactures are known to have produced these liners. The manufacture mark and year can be located on the outside of the outer band stamped on the wearer’s right. 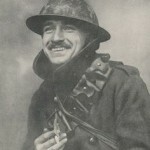 Photo of a German soldier taken in 1935. 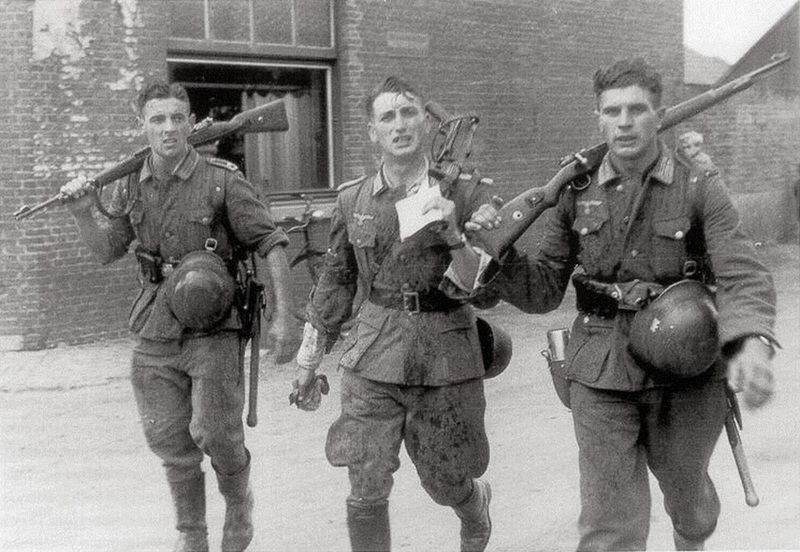 He wears a M18 with a M1927 chinstrap. The small heads on the liner pins indicate the liner is most likely a M24 liner. 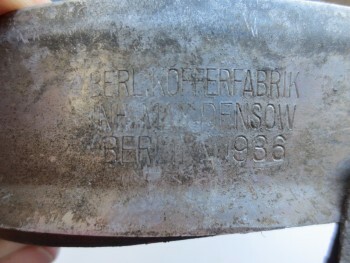 One of the seven maker, Max Densow Kofferfabrik of Berlin ceased production of liners in 1938 for reasons lost to history. As of the writing of this blog, no liners have been discovered dated between the years of 1932 and 1934. The reason for this could be that Suberth-werk produced a single substantial lot of liners in 1931 which was sufficient to cover the needs of the Reichswehr prior to 1935. When supplies were exhausted, production may have started again. The other explanation is that the 1931 dated stamp indicated the patent approval year and not the actual production date of the liner. 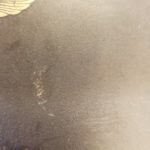 To complicate matters further, some liners are found without dates or manufacture marks which means these liners may have been produced between 1932 and 1935. The leather in the M31 liner was also a radical departure from the previous designs. The leather liner consisted of between seven and nine fingers (depending on the liner size) and drawn together with an adjustable cotton cord. 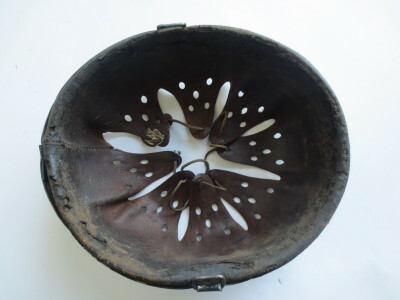 The fingers were perforated to allow heat to rise. Officially the leather was to have been made from goat or sheep’s hide; however, steer hide is commonly seen on original examples. The back base of the leather had a wool felt pad for added comfort. The leather was secured to the internal band by means of flat headed aluminum pins. Many of the earliest liners have the size, year of production, and manufacture embossed on the leather. This practice seems to stop by 1937 in favor of a simple ink stamp with the size marked on one of the fingers. While the M31 liner received positive feedback from the troops, there were problems which required some modifications. 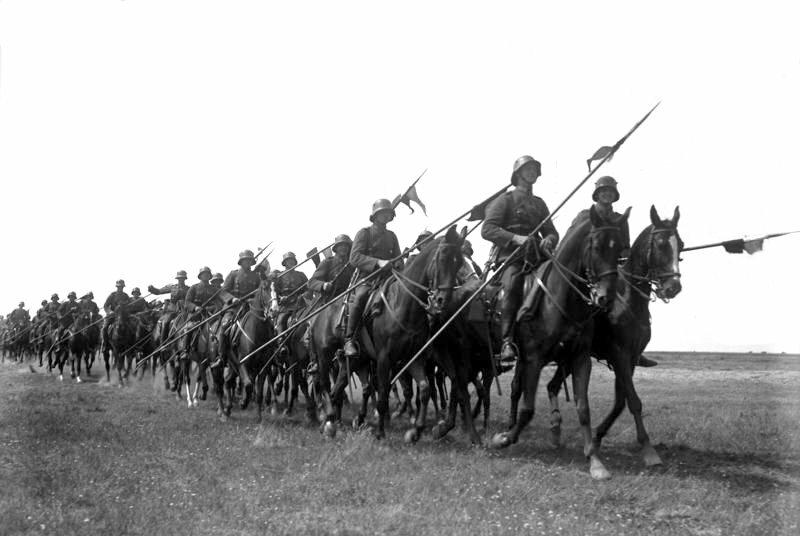 Both the army and Luftwaffe filed complaints that the outer band tended to warp when the helmet was hung from the chinstrap. 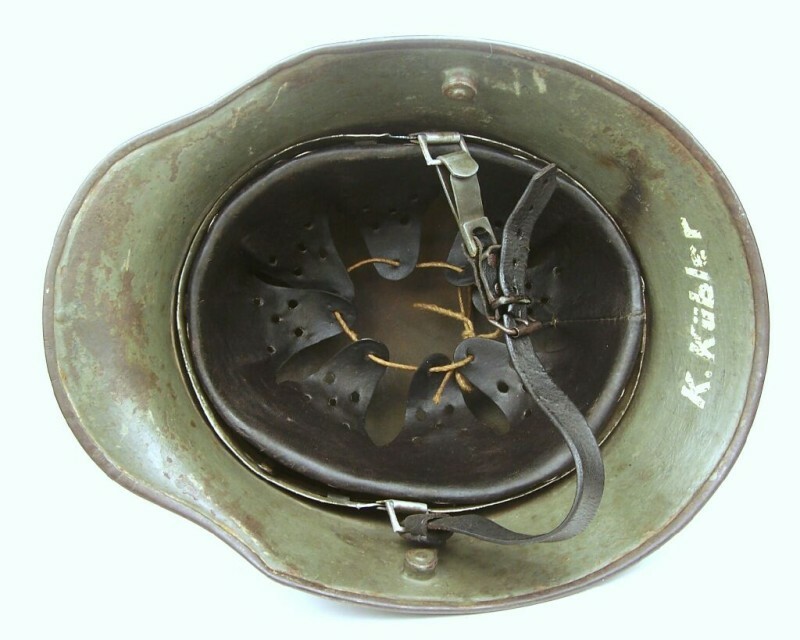 German soldier frequently hung the steel helmet from their ammo pouches on the march and the constant jostling of the helmet damaged the liner’s outer band. There were also two weak spots on either sides of the chinstrap bails which, after continued used and or abuse, caused the band to break. The firm Werner Zahn who had begun producing liners in 1937 came up with a solution. Two strips of aluminum were riveted onto both sides of the liner thus reinforcing the band. By 1938 this became standard practice with all other liner manufactures. 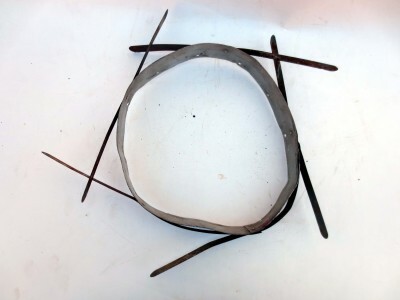 This solution appeared to fix the problem and liners were produced with these reinforcing strips into 1940. As is often the case, once a war commences changes are made to equipment to economize. While the M31 liner continued to preform well, the aluminum made the liner too expensive to produce. In 1940 liner manufactures were ordered to switch from using aluminum to zinc plated steel. The steel was in fact more durable than the aluminum and eliminated the need for the reinforcing strips which sped up production. With these final changes, the M31 liner reached a state of perfection and was ready for the a war that that was just beginning to expand. 1940 dated M31 liner. This liner has the last modification, and is made from zinc plated steel.